If you want to buy a new laptop, no doubt you should consider the Centurion line. It will be a good choice for you, Linux aficionado. As well as for your Windows-addicted husband/wife/employees. The Centurion Nano is certainly not a “gamer” laptop. However, besides that particular use case, and for an interesting price, you will get a very competent computer, 100% compatible with Linux and usable for a broad range of tasks. I have seen it many times. “Linux is a cancer”. “Open sauce”. “Linuxtard”. I even remember the teacher who did not bring a laptop for her presentation and, when I offered her my Linux netbook, she rejected it as if I had presented her something illegal. She tried to use an old Windows computer instead but, when the computer failed, she ended up displaying her presentation with my Linux netbook. Clearly, this teacher’s position was not based on ignorance or lack of expertise because she knew Linux existed and all she had to do was to display slides. Her refusal was due to indoctrination: she had learned that Linux and non-Microsoft office suites had to be rejected. In his linux.conf.au 2017 talk [YouTube] on the eBPF in-kernel virtual machine, Brendan Gregg proclaimed that “super powers have finally come to Linux”. Getting eBPF to that point has been a long road of evolution and design. While eBPF was originally used for network packet filtering, it turns out that running user-space code inside a sanity-checking virtual machine is a powerful tool for kernel developers and production engineers. Over time, new eBPF users have appeared to take advantage of its performance and convenience. This article explains how eBPF evolved how it works, and how it is used in the kernel. The kernel’s module mechanism allows the building of a kernel with a wide range of hardware and software support without requiring that all of that code actually be loaded into any given running system. The availability of all of those modules in a typical distributor kernel means that a lot of features are available — but also, potentially, a lot of exploitable bugs. There have been numerous cases where the kernel’s automatic module loader has been used to bring buggy code into a running system. An attempt to reduce the kernel’s exposure to buggy modules shows how difficult some kinds of hardening work can be. Linux containers are something of an amorphous beast, at least with respect to the kernel. There are lots of facilities that the kernel provides (namespaces, control groups, seccomp, and so on) that can be composed by user-space tools into containers of various shapes and colors; the kernel is blissfully unaware of how user space views that composition. But there is interest in having the kernel be more aware of containers and for it to be able to distinguish what user space considers to be a single container. One particular use case for the kernel managing container identifiers is the audit subsystem, which needs unforgeable IDs for containers that can be associated with audit trails. Back in early October, Richard Guy Briggs posted the second version of his RFC for kernel container IDs that can be used by the audit subsystem. The first version was posted in mid-September, but is not the only proposal out there. David Howells proposed turning containers into full-fledged kernel objects back in May, but seemingly ran aground on objections that the proposal “muddies the waters and makes things more brittle”, in the words of namespaces maintainer Eric W. Biederman. Unity is one of the big public users of the open-source Crunch DXT texture compression library. While it’s no longer maintained by Rich Geldreich / Binomial, Unity has continued advancing this open-source code to further improve the compression ratio and speed. For months Unity has been talking about their promising findings with Crunch. But this is the project that Rich Geldreich, the former Valve developer, previously expressed regret having open-sourced all of it. While he is on to working on better and more advanced technologies at his Binomial startup, Unity is working to squeeze more out of this open-source library. Under X, application redraws are tricky to do without tearing because content can be updated at any chosen time with no clear feedback as to when the compositor will read it. EFL uses some clever tricks to this end (check out the state of the art X redraw timing for yourself), but it’s difficult to get right in all cases. For a lot of people this just works, or they’re not sensitive to the issue when it doesn’t. Samsung’s Open-Source Group has been working on making their Wayland support in the Enlightenment Foundation Libraries (EFL) even better. The latest Wayland work on the Enlightenment/EFL front has been improving the application redraw process. The EFL toolkit with the upcoming v1.21 release will now be hooking into Wayland’s frame callbacks to better dealing with drawing, only drawing when necessary, and doing so without the possibility of tearing. If you are thinking of gifting yourself (or someone else) a FreeSync-compatible monitor this holiday season, here’s a look at how the AMD FreeSync support is working right now, the driver bits you need to be aware of, and how it’s all playing out for those wanting to use this tear-free capability for Linux gaming. Privacy awareness has been thankfully growing steadily across the web, and a number of programs have arisen as a result; Signal, is one such program. I won’t name drop, but enough major players in the world of privacy advocacy have given their seal of approval for Signal, and so I knew I had to check it out for myself. By now you have probably heard of Bitcoin or the Blockchain. The price of Bitcoin has skyrocketed several times in the past months, and the trend continues almost daily. The demand for Bitcoin seems to grow astronomically by the minute. Accompanying the demand for the digital currency is the demand for software to manage the currency: Bitcoin clients. A quick search of “Bitcoin client” on Google Play or the App Store will yield quite a number of results. There are many Bitcoin clients that support Linux, but only 5 interesting ones are mentioned here, in no particular order. IoT radio: Still in-progress .. So back in September I was talking about building a IoT Radio, and after that I switched to talking about tracking aircraft via software-defined radio. Perhaps time for a followup. The highly anticipated Wine 3.0 release of the open-source and cross-platform compatibility layer for running Windows apps and games on Linux and UNIX-like systems is almost here. A second Release Candidate (RC) has just been released, coming just one week after the first Release Candidate, and it brings a bunch of bug fixes and some new features like support for the Armel hardware architecture. A total of 17 regressions were addressed in Wine 3.0 RC2, improving support for various Windows games and applications. Bud Spencer & Terence Hill: Slaps and Beans [Steam] is now in Early Access after a successful Kickstarter campaign in which the developers gained over $200k. Here comes the last KStars release for 2017! KStars v2.8.9 is available now for Windows, MacOS, and Linux. Robert Lancaster worked on improving PHD2 support with Ekos. This includes retrieving the guide star image, drift errors and RMS values, among other minor improvements and refactoring of the Ekos PHD2 codebase to support future extensions. GNOME 3.27.3, the third development snapshot in the 3.28 development cycle, is now available. A few more modules have been ported to meson, and lots of development is happening across all modules. To point out a few highlights, dconf-editor is seeing significant work, and evolution has had many bug fixes. Matthias Clasen of Red Hat announced the release of GNOME 3.27.3 this weekend. GNOME 3.27.3 is the latest in a string of development releases leading up to the stable GNOME 3.28 debut in March. GNOME leader Matthias Clasen announced a few moments ago the availability of the third development snapshot towards the GNOME 3.28 desktop environment for GNU/Linux distributions. The development cycle of the upcoming GNOME 3.28 desktop environment continues today with the GNOME 3.27.3 milestone, which ports more components to the Meson build system and adds various improvements to various apps and tools, including the Evolution email and calendar client, NetworkManager network connection manager, and dconf-editor. Finally, this is the boring part. Benjamin and I reworked code that’s internal to gnome-bluetooth, as used in the Settings panel as well as the Shell, to make it use modern facilities like GDBusObjectManager. The overall effect of this is, less code, less brittle and more reactive when Bluetooth adapters come and go, such as when using airplane mode. Today I released librsvg 2.40.20. This will be the last release in the 2.40.x series, which is deprecated effectively immediately. People and distros are strongly encouraged to switch to librsvg 2.41.x as soon as possible. This is the version that is implemented in a mixture of C and Rust. It is 100% API and ABI compatible with 2.40.x, so it is a drop-in replacement for it. If you or your distro can compile Firefox 57, you can probably build librsvg-2.41.x without problems. GNOME developer Beniamino Galvani announced the availability of the first point release of the NetworkManager 1.10 open-source network connection manager software. NetworkManager is the most popular network connection manager tool these days, coming pre-installed with numerous GNU/Linux distributions. The latest stable release, NetworkManager 1.10.2, is here about five weeks after the launch of NetworkManager 1.10.0 to add a handful of new features and improvements. Christian Schaller who has long been involved in GNOME/Fedora development while serving as a senior software engineering manager at Red Hat and formerly with Collabora has some bold predictions about 2018 for open-source software. LXLE is a lightweight Linux distribution mainly focused on older systems. John takes it for a test drive and shares his experience in this LXLE review. The NuTyX team is please to annonce the 9.93 release of NuTyX. Red Hat Inc.’s (RHT) stock has been red hot this year, and with good reason. For many years, Red Hat’s cloud infrastructure offering had positioned it as a single product company, as it became the go-to provider for systems based around open source software like Linux. It’s now pouncing on many of this year’s biggest technology trends, including the Internet of Things and hybrid cloud computing. Most of all, as more and more industries are disrupted from the likes of Amazon.com Inc. (AMZN) , Red Hat is stepping in to help companies adjust and scale their IT systems to meet consumers’ rapidly changing needs. Fedora Classroom sessions continue next week with a session on Fedora QA. The general schedule for sessions appears on the wiki. You can also find resources and recordings from previous sessions there. Here are details about this week’s session on Wednesday, December 22 at 16:00 UTC. That link allows you to convert the time to your timezone. After several months of working and waiting, I am happy to report that the nice and user friendly 3D printer slicer software Cura just entered Debian Unstable. It consist of five packages, cura, cura-engine, libarcus, fdm-materials, libsavitar and uranium. The last two, uranium and cura, entered Unstable yesterday. This should make it easier for Debian users to print on at least the Ultimaker class of 3D printers. My nearest 3D printer is an Ultimaker 2+, so it will make life easier for at least me. Slax 9.3.0 beta is now ready for public testing with persistent support when using Slax from a USB flash drive, allowing you to preserve settings and downloaded files or packages across reboots. It also improves booting from EXT4 and NTFS filesystems. Moreover, the default file manager, PCManFM, has been updated to display external drives in the left sidebar, newly installed applications are now automatically added to the xLunch screen, and Wicd is now the default network manager. Powered by Linux kernel 4.13 and using Xfce 4.12.3 as default desktop environment, antiX MX-17 comes six months after the antiX MX-16 release and promises to bring all the latest security patches and software update from the software repositories of the recently released Debian GNU/Linux 9.3 “Stretch” operating system. The MX variant ships with all the antiX live features, including persistence up to 20GB, and automatic selection of appropriate drivers for most Broadcom wireless chipsets with minimal user intervention. Being targeted at low-end computers, antiX MX-17 offers a 32-bit PAE kernel for machines with less than 4GB RAM. ParrotSec devs released today a new stable version of their Debian-based Parrot Security OS ethical hacking and penetration testing GNU/Linux distribution. There are many enhancements implemented in the Parrot Security OS 3.10 release, but the biggest new feature is the introduction of a full Firejail and AppArmor sandboxing system that should proactively protect the operating system from attacks by isolating its components with the combination of various security techniques. “The first experiments were already introduced in Parrot 3.9 with the inclusion of Firejail, but we took almost a month of hard work to make it even better with the improvement of many profiles, the introduction of the AppArmor support and enough time to make all the tests,” reads today’s announcement. Last week, Canonical released a kernel update for the Ubuntu 16.04 LTS (Xenial Xerus) operating system patching a total of four security issues, including a use-after-free vulnerability in the Netlink subsystem (XFRM), an out-of-bounds read in the GTCO digitizer USB driver, a bug in the associative array implementation, and improper copy-on-write (COW) handling of transparent huge pages. However, it would appear that the respective kernel update also introduced a regression, which apparently prevented the use of the Ceph network file system on machines that upgraded to the new kernel versions. Canonical patched the issue and released a new Linux kernel update that addresses the problem on all Ubuntu 16.04 LTS systems, as well as Ubuntu 14.04.5 LTS machines. Linux Mint is killing the KDE version of its operaring system — a move some people applaud. That’s what makes the new 18.3 version — named “Sylvia” — so frustrating. It’s bizarre to release a new version of an operating system that essentially has no future. But oh well, here we are. After a short beta period, the KDE distro is now available for download — if you still care. I recommend that KDE loyalists just switch to Kubuntu or Netrunner, but I digress. Despite being the final version of Linux Mint KDE, it is still a great alternative to the consistently disappointing Windows 10. After all, it has been discovered that Microsoft is bundling a bug-ridden password-manager with its operating system without user consent! How can you trust such an OS?! Sigh. The Linux Mint team released the final Linux Mint 18.3 “Sylvia” Xfce and Linux Mint 18.3 “Sylvia” KDE editions to download, as well as an upgrade for existing Linux Mint 18.2 “Sonya” users. Previously in beta, the Linux Mint 18.3 “Sylvia” KDE and Xfce editions are now officially released and ready for production use. Just like the Cinnamon and MATE flavors, they are based on Canonical’s long-term supported Ubuntu 16.04 LTS (Xenial Xerus) operating system and use the Linux 4.10 kernel by default for new installations. With the ever shining genre of First Person Shooters making it Huge in the PC market, game studios have brought the best of FPS action to people’s mobile devices. Here I present to you my best picks for the Free first person shooter games online for Android. Magna Research (part of IPG Media) has released their latest count of this year’s ad spend. They have been reporting ‘digital’ spend for many years and finally now, 2017 becomes the first year when TV is dethroned as the largest ad spending platform. Yes this is the year when ‘digital’ passes TV in global ad spend. Big news. In fact, earth-shattering news considering how much TV has been the gorilla in advertising industry for half a century. Bye bye TV. Digital now rules. Have you ever arrived at a party, looked around, and realized you’re totally underdressed? It’s a panic-inducing moment. This nightmare scenario happened to OnePlus earlier this year. Its OnePlus 5 had the brains to match any competing Android device, but next to phones like the Galaxy S8, LG G6, iPhone X, it looked, well, dowdy. With thick, squared off bezels and an eyesore of a home button, it was so last season. For four years, OnePlus has pinned its entire identity to the idea that it sells the phone with the highest specs at the lowest price. Instead of paying $850+ for a fancy phone from the likes of Google or Samsung, you can buy a nearly identical, slightly off-brand OnePlus for $500 or less. It was the phone those in the know would recommend to save a few hundred bucks and still have a brag-worthy device. But you couldn’t brag about the OnePlus 5, especially after some bugs plagued the device. Today we have celebrated another session for the #PeruRumboGSoC2018 program at CCPP UNI. It was one of the longest sessions we have experienced. Voice computing has long been a staple of science fiction, but it has only relatively recently made its way into fairly common mainstream use. Gadgets like mobile phones and “smart” home assistant devices (e.g. Amazon Echo, Google Home) have brought voice-based user interfaces to the masses. The voice processing for those gadgets relies on various proprietary services “in the cloud”, which generally leaves the free-software world out in the cold. There have been FOSS speech-recognition efforts over the years, but Mozilla’s recent announcement of the release of its voice-recognition code and voice data set should help further the goal of FOSS voice interfaces. There are two parts to the release, DeepSpeech, which is a speech-to-text (STT) engine and model, and Common Voice, which is a set of voice data that can be used to train voice-recognition systems. While DeepSpeech is available for those who simply want to do some kind of STT task, Common Voice is meant for those who want to create their own voice-recognition system—potentially one that does even better (or better for certain types of applications) than DeepSpeech. Coming six months after the release of the FreeNAS 11 stable series, the FreeNAS 11.1 update is based on FreeBSD 11.1 and introduces cloud integration, support for AMD Ryzen and Intel Xeon Scalable family of processors, OpenZFS performance improvements, as well as preliminary support for Docker application container engine through a virtual machine built from RancherOS. en Moore, the creator of the FreeBSD-based TrueOS computer operating system and Lumina desktop environment, released the TrueOS 17.12 update, which introduces multiple enhancements. Synced with the FreeBSD 12.0-CURRENT and FreeBSD ports tree software repositories as of December 4 and November 30, 2017, respectively, TrueOS 17.12 is an incremental update to the operating system adding improvements to the OpenRC-based boot process, removable-device management, LibreSSL and SysAdm API integrations, as well as Bhyve support for TrueOS Server Install. Earlier this month I wrote how Intel engineers have been busy with continuing to tune glibc’s performance with FMA and AVX optimizations. That work has continued but also other architectures continue tuning their GNU C Library performance ahead of the expected v2.27 update. There has been a ton of optimization work this cycle, particularly on the Intel/x86_64 front. For those with newer Intel 64-bit processors, this next glibc release is shaping up to be a speedy update. Hot off the release of the new GIMP 2.9.8 and ahead of the expected GIMP 2.10 release candidates that are expected to begin, a new addition to GIMP is a plug-in supporting the new FreeDesktop.org/Flatpak screenshot API. The org.freedesktop.portal.Screenshot specification aims to be a screenshot API that will work not only cross-desktop (e.g. KDE, GNOME, etc) but also work for sandboxed applications (i.e. Flatpak) and also work regardless of whether you are using Wayland or X11. The Fortran committee decided last month to rename the upcoming Fortran 2015 programming language update to Fortran 2018. GCC support is being prepped. With this updated programming language technical specification not expected to be published until mid-2018, the committee behind this long-standing programming language decided to rename Fortran 2015 to Fortran 2018. Fortran 2018 should further improve interoperability with C code, improve its parallel programming capabilities, support hexadecimal inputs/outputs, and other improvements over Fortran 2008. …Tax-Calculator, an open-source tax-modeling program. The quest to find a free-software replacement for the QuickBooks accounting tool continues. In this episode, your editor does his best to put Tryton through its paces. Running Tryton proved to be a trying experience, though; this would not appear to be the accounting tool we are searching for. Tryton is a Python 3 application distributed under the GPLv3 license. Its home page mentions that it is based on PostgreSQL, but there is support for MySQL and SQLite as well. Tryton, it is said, is “a three-tier high-level general purpose application platform” that is “the core base of a complete business solution providing modularity, scalability and security”. The “core base” part of that claim is relevant: Tryton may well be a solid base for the creation of a small-business accounting system, but it is not, out of the box, such a system itself. Who should see Python deprecation warnings? As all Python developers discover sooner or later, Python is a rapidly evolving language whose community occasionally makes changes that can break existing programs. The switch to Python 3 is the most prominent example, but minor releases can include significant changes as well. The CPython interpreter can emit warnings for upcoming incompatible changes, giving developers time to prepare their code, but those warnings are suppressed and invisible by default. Work is afoot to make them visible, but doing so is not as straightforward as it might seem. In early November, one sub-thread of a big discussion on preparing for the Python 3.7 release focused on the await and async identifiers. They will become keywords in 3.7, meaning that any code using those names for any other purpose will break. Nick Coghlan observed that Python 3.6 does not warn about the use of those names, calling it “a fairly major oversight/bug”. In truth, though, Python 3.6 does emit warnings in that case — but users rarely see them. Analytics firm Net Applications revised its methodology to cull bots from its browser share numbers and found that as much as half of the traffic to Edge on Windows 10 was artificially inflated. The Washington Post reported on Friday that Alison Kelly, a senior official in the CDC’s Office of Financial Services, revealed the existence of a list of forbidden words during a meeting with staff members responsible for preparing the CDC budget and related material. A participant in the meeting told the Post that Kelly said the words could not be used in documents that are sent to Congress and CDC partners. Do you want your medical treatment to be based on science? The Trump administration doesn’t. The Trump administration has reportedly banned the Centers for Disease Control and Prevention (CDC) from using the phrases “evidence-based” and “science-based” in official documents. Analysts are reportedly prohibited from using the phrases in official documents they prepare for the 2019 budget, which is expected to be released in February. Insurance companies receive steep rebates from pharmaceutical companies that are pushing up the price of prescription drugs. However, insurers are not passing the savings down to their customers in the form of lower premiums and out-of-pocket costs. At least, that’s what the drug manufacturing industry claims. If you ask the insurance industry, it’s drug manufacturers that are to blame for the sky-high drug prices that have enraged the public — and forced insurers to raise premiums and deductibles in recent years. The free Wi-Fi that the Buenos Aires Starbucks offers to its customers was being used to mine for cryptocurrency, and what’s worse, it used people’s laptops to do it. The whole thing was discovered by Stensul CEO Noah Dinkin who actually paid a visit to the store and wanted to browse the web using the free Wi-Fi, only to discover that his laptop was unknowingly converted into a cryptocurrency miner. He then turned to Twitter to ask Starbucks if they know about the what he described as bitcoin mining taking place without customers knowing about it. “Hi Starbucks, did you know that your in-store wifi provider in Buenos Aires forces a 10 second delay when you first connect to the wifi so it can mine bitcoin using a customer’s laptop? Feels a little off-brand,” he said in his tweet. The damaging data breach that exposed the secrets of an infamous surveillance tech company might go unsolved forever. After more than two years, the Italian prosecutor who was investigating the attack on the Milan-based Hacking Team has asked the case to be dismissed, according to multiple sources. On Monday, the Milan prosecutor Alessandro Gobbis sent a notice to the people under investigation informing them that he had sent the judge a request to shut down the investigation, according to a copy of the document obtained by Motherboard. Google security researcher Tavis Ormandy, who has previously discovered, reported, and disclosed several major bugs in Windows and its features, came across a new security vulnerability affecting Microsoft users. This time, the flaw exists in the Keeper password manager that comes pre-installed in some Windows 10 versions, with Ormandy explaining that it’s similar to a vulnerability that he discovered in August 2016. “I remember filing a bug a while ago about how they were injecting privileged UI into pages,” Ormandy explained on December 14. “I checked and, they’re doing the same thing again with this version,” he continues. bout 16 months ago, a Google Project Zero researcher found a critical bug in a password manager named Keeper. The bug allowed Keeper to inject its trusted UI into untrusted web pages with a content script. This allowed websites to steal user passwords using techniques like clickjacking. In a surprising development, Tavis Ormandy, the same researcher, has found that Microsoft bundled the same password manager with Windows 10. “I recently created a fresh Windows 10 VM with a pristine image from MSDN, and found that a password manager called “Keeper” is now installed by default,” he said. Moreover, a similar flaw was again found in this pre-installed password manager, which remained present for eight days. The campaign was detected by security researchers from F5 Networks, who named it Zealot, after zealot.zip, one of the files dropped on targeted servers. News headlines often focus on the hackers who launch cyber attacks and leak confidential data such as National Security Agency exploits, sensitive political emails, and unreleased HBO programming, but hackers can also affect organizations in positive ways. White hat hackers (as opposed to black hats) increasingly are finding employment in companies as security researchers. From conducting penetration tests and identifying vulnerabilities in software to providing companies with guidance about emerging threats, white hat hackers bring considerable value to organizations and play an instrumental role in helping them defend against today’s advanced threats. White hats are highly coveted not only for their knowledge but also for their unique mindsets and ability to change corporate culture. Security researchers regularly set out to find implementation problems in cryptographic algorithms, but not enough effort is going towards the search for mathematical backdoors, two cryptography professors have argued. Governments and intelligence agencies strive to control and bypass or circumvent cryptographic protection of data and communications. Backdooring encryption algorithms is considered as the best way to enforce cryptographic control. In defence of cryptography, researchers have set out to validate technology that underpins the secure exchange of information and e-commerce. Eric Filiol, head of research at ESIEA, the operational cryptology and virology lab, argued that only implementation backdoors (at the protocol/implementation/management level) are generally considered. Not enough effort is being put into looking for mathematical backdoors or by-design backdoors, he maintains. The United State national security adviser, national security adviser, General H.R. McMaster, said Tuesday that Turkey was a prime source of funding that contributes to the spread of extremist ideology, reported Voice of America. “A lot of Islamist groups have learned from” Turkish President Recep Tayyip Erdogan and his Justice and Development Party (AKP), said McMaster. Donald Trump announced on 6 December that the United States was recognising Jerusalem as the capital of Israel. Most notable about his speech was not what he said, or how he said it, but the presence and demeanour of vice-president Mike Pence. Though an element almost entirely missing from the reams of analysis following Trump’s statement, Pence’s beliefs do much to explain Trump’s motivation. Washington’s declaration of Jerusalem to be Israel’s capital has provoked sharp criticism across the world, most strongly in the Middle East where 57 members of the Organisation of Islamic Cooperation (OIC) called for East Jerusalem to be accepted as the capital of a Palestinian state. This may count for little in Trump’s White House, though there might be slightly more concern over the attitudes of the European Union in general and France in particular. Even Britain under Theresa May added its pennyworth. Myanmar’s government said on Wednesday that police had arrested two Reuters journalists, Wa Lone and Kyaw Soe Oo. The reporters had been working on stories about a military crackdown on the Rohingya Muslim minority in Rahkine State that has caused almost 650,000 people to flee to neighboring Bangladesh. The Ministry of Information said in a statement on its Facebook page that the journalists and two policemen face charges under the British colonial-era Official Secrets Act. The 1923 law carries a maximum prison sentence of 14 years. “I just learned that Dan Meyer, the Executive Director of Intelligence Community Whistleblowing and Source Protection, was placed on administrative leave and escorted out of his offices pending a tribunal before senior executives to consider his proposed termination,” wrote Sen. Chuck Grassley, a Republican from Iowa, in a letter sent November 29 to Director of National Intelligence Dan Coats and Wayne Stone, the acting director of Office of the Inspector General of the Intelligence Community. The intelligence community inspector general is tasked with conducting audits across the intelligence agencies and independently responding to whistleblower retaliation complaints. The watchdog office has been involved in independent reviews of the Boston Marathon bombing, as well as former Secretary of State Hillary Clinton’s use of a private email server. It has also recently been embroiled in a turf war fraught with competing personalities and visions on how to provide resources for potential whistleblowers, as reported in an investigation by Foreign Policy. Dan Meyer, the man in charge of outreach to whistleblowers, had his duties and privileges revoked, and now he has been kicked out of his office pending an investigation. Officials are still deciding whether or not to fire him, though have not provided public reason for their actions. Some inside the intelligence community remain concerned that sidelining Meyer, who helps employees field complaints legally, could inadvertently lead to the next major leaker, like former NSA contractor Edward Snowden. In the meantime, there is no confirmed intelligence community inspector general. Wayne Stone, the acting inspector general, has been studying at Harvard most weeks since Chuck McCullough, who previously held the position, retired in early March. Taking a break from a world of woe, we present the winners of this year’s Comedy Wildlife Photo Competition. The contest, featuring winning images culled from entries from 86 countries, was founded by two wildlife photographers working in conjunction with the Born Free Foundation, an international wildlife charity working to save animal lives, protect rare species, end captive animal exploitation and help communities and wildlife live together without conflict. This year’s images, like last year’s, serve to raise awareness of conservation issues and remind us of all of nature’s grit and grace and exuberance – which, despite our daily calamities, still abounds. Just lookit these guys. There must be hope. Here are the 3 main Republican arguments in favor of the Republican tax plan, followed by the truth. 1. It will make American corporations competitive with foreign corporations, which are taxed at a lower rate. The issue is bigger than any single scandal, I told him. As headlines have exposed the troubling inner workings of company after company, startup culture no longer feels like fodder for gentle parodies about ping pong and hoodies. It feels ugly and rotten. Facebook, the greatest startup success story of this era, isn’t a merry band of hackers building cutesy tools that allow you to digitally Poke your friends. It’s a powerful and potentially sinister collector of personal data, a propaganda partner to government censors, and an enabler of discriminatory advertising. A provision to treat graduate school tuition waivers as taxable income won’t be in the final House-Senate tax package, according to Republican Senator Steve Daines of Montana and one other person briefed on a tentative deal reached Wednesday. For people who don’t believe the Pineapple Fund is real, the owner has provided an address and digital proof of ownership utilizing the bitcoin blockchain. The Pineapple Fund has already given money to six charities including Watsi ($1Mn), The Water Project ($1Mn), the Electronic Frontier Foundation ($1Mn), the Bitgive Foundation ($500K), MAPS psychedelic studies ($1Mn), and the Open BSD Foundation ($500K). Ethereum is a public, peer-to-peer network with its own unique digital currency called Ether. It was created by Vitalik Buterin in 2014 and it aimed to be a platform on which smart contracts can be built and executed. The Ethereum blockchain is modeled in a way that would enable it to store different categories of data. The computer programs operating on the Ethereum blockchain accesses and uses this data. These computer programs are called decentralized apps, or “Dapps”. In an exclusive interview with International Business Times, U.S. Senator Bob Corker, R-Tenn, denied knowing about a controversial last-minute provision slipped into the Republican tax bill that could personally enrich him. Corker, the lone Republican to vote against the original Senate bill, which didn’t include the provision, also admitted he has not read the final tax bill he announced he will support. A trio of Democratic Senators, meanwhile, slammed the provision, which was first reported on by IBT. Corker’s vote is considered pivotal in the closely divided Senate and he could be in a position to make or break the landmark legislation. He declared his support for the final reconciled version of the bill on Friday after GOP lawmakers added a provision that could benefit his vast real estate holdings — a provision that Corker denied having any knowledge of. The video, released by NowThis, features Eric Schoenberg, a millionaire who—unlike President Donald Trump—has released his tax returns, and uses them to give a crystal-clear look at how the proposal will benefit the super rich like himself and the president. In Columbus, with Hillary Clinton running away with the election, Trump unveiled what even The Washington Post described as a “pretty radical student debt plan.” The basic idea was income-based repayment capped at 12.5 percent, then total loan forgiveness after 15 years of payments. Kimber Lanning stands at just 5 feet 1 inch. But in the Arizona economic landscape where she acts as a fierce advocate for local economies, she is a giant. In 2003, Lanning started Local First Arizona. She was the only employee, and didn’t take any salary. Now, with 3,200 members, it is the largest coalition of local businesses in the country. The coalition’s staff of 24 manages programs ranging from an annual local business fall festival to the state’s first directory of locally grown food to a program in Spanish for micro-entrepreneurs. In a political nail-biter, the GOP finally passed their tax reform bill in the Senate — thanks in large part to a number of late-entrance amendments and lofty promises. But once Vice President Mike Pence provided the tie-breaking vote, the Republican party moved quickly to the next stage: reconciliation. And that’s when a number of wavering senators learned that the last-minute offers they received in exchange for their votes were about as long-lasting as President Donald Trump’s breaks from Twitter. It took a variety of sweeteners to finally get skeptical GOP senators on board with the tax reform bill. But the reconciliation process is stripping a number of those amendments out of the final bill, leaving legislators wondering if there was any good faith in the negotiations at all. One of Britain’s most senior former diplomats, Lord Malloch-Brown, is to take a lead role in coordinating the pro-remain groups towards a more coherent campaign focused on shifting public opinion before MPs hold a “meaningful vote” next autumn on Theresa May’s Brexit deal. 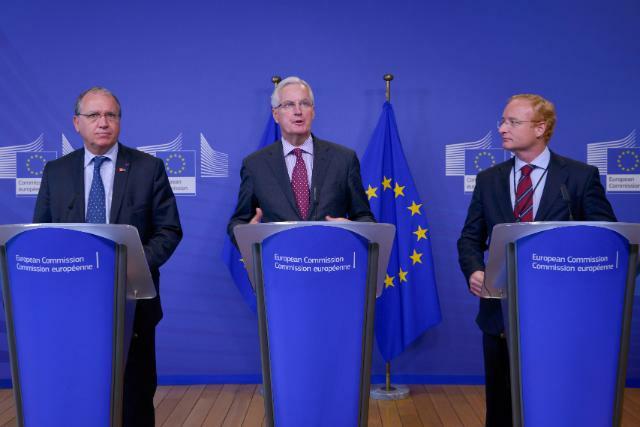 Behind the scenes discussions between the disparate anti-hard Brexit groups have led to an agreement that their messages need to be far better coordinated if public opinion is to be shifted decisively in the next nine months. Malloch-Brown, a former UN deputy secretary general, political communications consultant and Foreign Office minister under Gordon Brown, said: “We don’t necessarily need a single organisation, but we do want everyone on the same page. The Grenfell Tower fire establishment circus is well and truly underway, placed in motion by a ruling class never more efficient than when managing and palliating the anger of the poor after presiding over their deaths in acts of social murder, euphemistically referred to as ‘tragedies’, whenever they occur. He also points out that as intelligence agencies in Finland are now being granted larger operational scopes, it falls to the media to keep even closer track of their activities. Fox shareholders, who include the Murdochs, will get a 25% stake in the larger Disney. Mr. Iger is buying 21st Century Fox’s minority stake in Hulu, resulting in majority control of the streaming service by Disney, which previously owned 30 percent. Comcast and Time Warner also have stakes in Hulu. Commiserating and kvetching with a fellow writer Tuesday night, I confessed that it had been six weeks since my last opinion piece. I hadn’t been sure what to write, but mainly there was the issue of hope. News says, “This is the way things are,” and opinion writing often replies, “This is the way they could and should be.” Hope bridges the chasm between the present and an imagined future. Others had managed that leap; I hadn’t. Talking about the way we should be had felt as pointless and miserable to me as repeatedly stepping on a rake with a pie attached to its handle. “Roy Moore will win, then net neutrality will get repealed,” I mumbled, then unfurled a long line of expletives. (Yes, I’ve called the hotlines; I’ve written the emails.) She shook her head in solemn agreement while I excused myself to the restroom. Chileans vote in an uncertain runoff presidential election on Sunday that will determine if the world’s top copper producer stays on its center-left course or joins a tide of Latin American nations turning to the right in recent years. Billionaire former President Sebastian Pinera, 68, a conservative who was considered the front-runner but earned fewer votes than expected in last month’s first round, faces center-left journalist and senator Alejandro Guillier, 64. Final arguments are underway today in Washington, D.C., in a case that could shape the future of free speech and the right to protest in the United States: the first trial of the nearly 200 people arrested during President Donald Trump’s inauguration. As demonstrators, journalists and observers gathered in Northwest D.C. after the inauguration on January 20, some separated from the group and vandalized nearby businesses and vehicles. Police officers then swept hundreds of people in the vicinity into a blockaded corner in a process known as “kettling,” where they carried out mass arrests of everyone in the area. The first so-called J20 trial could go to a jury as early as today, and involves six people, including one journalist, Alexei Wood, a freelance photojournalist. The defendants face multiple felony and misdemeanor charges, including multiple counts of destruction of property. Evidence against the defendants has been scant. We get an update from Jude Ortiz, a member of the organizing crew of Defend J20 and the Mass Defense Committee chair for the National Lawyers Guild. He’s been in court throughout the first J20 trial. After the elections of November 26, when the Supreme Electoral Tribunal (TES) – with an unprecedented 10-hour delay and under pressure from international observers – announced that the Alianza de Oposición’s candidate Salvador Nasralla had an advantage of 5% over the current president, Juan Orlando Hernández, citizens celebrated the triumph on social media, even though many citizens still suspected that fraud and institutional complicity before the final count count change the scenario. It also should be noted that the incumbent should not have been a candidate for the presidency to begin with because the Constitution prohibits reelection through an unmodifiable article. 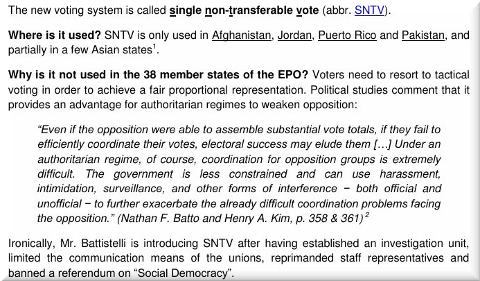 Despite the seemingly irreversible advantage in favor of the opposition, the president of the TSE refused to officially recognize Nasralla’s victory and advised that an announcement should not be made before the final count. In subsequent statements to the Salvadoran digital newspaper El Faro, Ramiro Lobo, substitute magistrate of the TSE, said that the president “did not want to disclose the results because his party, the National Party, was losing”. According to him, the counting system machines, although slow, worked as expected in the first hours and days after, in which “Nasralla had an advantage that already set a trend. But when the system was back up after collapsing for a short time, the trend had already reversed and remained that way”. After the apparent technical collapse and subsequent recovery of the system, the results disclosed by the TSE showed a clear advantage of the pro-government candidate over the opposition candidate. Thanks to the magic of the voting system’s collapse, a trend that seemed irreversible was reversed. Protests and road blockades were immediate, as were police and military repression. Like a déjà vu, the events invoked the ghosts of the crisis that preceded the 2009 coup. However, determined Honduran citizens remained in the streets. In light of looting of the private sector and under political accusations of being the cause of the chaos, on December 1 the government decreed a State of Emergency for 10 days, in order to keep the population silenced in house arrest. But as in previous times in Argentina, an unprecedented “cacerolazo” – a common form of protest in Latin America consisting of banging pots and pans – came to life in different Honduran cities, breaking the curfew and challenging political power. The unexpected victory of Democrat Doug Jones in the special U.S. Senate election in Alabama has been described as a political earthquake. The seismic rumblings began decades ago, though, during the civil-rights struggle of the 1950s and ’60s, with echoes that reach as far back as the U.S. Civil War and the long, violent era of slavery. Jones’ road to the Senate might have started on the early evening of Dec. 1, 1955, at a bus stop in Montgomery, Alabama, when an African-American woman named Rosa Parks sat down in one of the 10 front rows reserved for white passengers. The driver ordered her to the back of the bus. When she refused, the police were summoned, she was arrested, and the modern civil-rights era was launched. It was clear from the moment Donald Trump was elected president that 2017 would go down in history as one of the worst years ever in American politics. It is now ending on an even worse note: with the president wandering off into dangerous non compos mentis territory as the consequences of his incompetence become increasingly manifest, and as the law closes in on him, his family, and the scoundrels who run the government for him. Then there are the House and Senate Republicans outdoing even themselves in depraved indifference to the public good. And there are their Democratic rivals, pusillanimous as ever, self-righteously rebranding themselves as defenders of sexual propriety and virtue. Theresa May should consider the introduction of two new laws to deter the intimidation of MPs during elections and force social media firms to monitor illegal content, an influential committee has said. THE CHIEF of the borough’s newest political party believes the group is being unfairly censored in its bid to get its message across. Peter Flitcroft, leader of Farnworth and Kearsley First, has accused Bolton Council of ‘double standards’ after it refused the party permission to erect a gazebo for campaigning purposes. He says the proposed spot, in Brackley Street, Farnworth, near Asda, has previously been used by other political parties. In fact, the “free and open internet” did just fine — more than fine, even — for decades before being brought under a “Title II” regulatory scheme intended for 1930s-era telephones. And, unfortunately, there’s no deregulation involved. Instead of just getting its grubby mitts off the internet as it should, FCC is handing regulation off to another intrusive bureaucracy, the Federal Trade Commission. The Jawaharlal Nehru University (JNU) administration has asked student activist Shehla Rashid to appear for a proctoral inquiry over her claims on Twitter about “Internet censorship” on the campus, a move termed unprecedented by her and other student leaders. Rashid, a former JNU students’ union vice president, said on Thursday that she would not appear before the proctor on December 19 as the varsity administration “does not have a jurisdiction over” her tweets. The Jawaharlal Nehru University (JNU) administration has asked controversial left-wing activist Shehla Rashid to appear for a proctoral inquiry over her claims on Twitter about “internet censorship” on the campus, a move termed unprecedented by her and other student leaders. The Jawaharlal Nehru University (JNU) administration has sent a notice to former JNUSU vice-president Shehla Rashid, for writing on social media against the administration’s decision to block content on the university WiFi. The notice stated that the proctor’s office has received a complaint against her for posting on social media. In November, students had complained that the administration had blocked access to certain content related to the Una incident, presidential debate and others. The Advertising Standards Authority (ASA), which polices the rules, also plans to take a “stronger line” on ads that “could be seen to objectify or degrade women”. A perfume ad featuring a naked Cara Delavigne is being used as the example of what might cross the line, which begs the question: should the international supermodel get to determine what demeans or empowers her body, or should the ASA? While there is an important role for regulatory bodies to play in protecting vulnerable women from exploitation and coercion, this crackdown reeks of prudish disposition, which may very well do more to harm women’s sexual liberation than protect it. Attacks on advertising are often veiled attacks on free speech. China’s Communist Party is engaged in sophisticated global influence operations using money to buy supporters and deceive foreign audiences about Beijing’s rights abuses, experts told a congressional China commission on Wednesday. “Attempts by the Chinese government to guide, buy, or coerce political influence and control discussion of ‘sensitive’ topics are pervasive, and pose serious challenges in the United States and our like-minded allies,” said Sen. Marco Rubio (R., Fla.), co-chairman of the Congressional-Executive Commission on China. To the casual eye, George Devine made for an unlikely-seeming revolutionary. In Howard Coster’s 1934 photograph, in the collection of the National Portrait Gallery, he looks like nothing so much as a master at Greyfriars School, his spectacles horn-rimmed, his hair neatly oiled. Only the flamboyant angle of the hand that holds his cigarette suggests the reality: this was the actor who, as the director of the English Stage Company at the Royal Court Theatre, would produce John Osborne’s 1956 play Look Back in Anger. According to Irving Wardle, the nearest thing he has to a biographer, Devine was “personally inconspicuous”. If creating an “open space” for “rebel artists” took courage – it’s difficult to grasp, now, how incendiary Osborne’s words seemed at the time – it also involved a certain quietness. The work would speak for itself. Unless you lived in a cave over the past decade, you should have heard that “data is the new oil” or that data have become “the world’s most valuable resource.” However, rarely in our history has the emergence of new, extremely valuable, resources not resulted in power struggles leading to fundamental changes in political and social structures. The Scramble for Data is unleashing a new breed of colonialism, aimed at controlling the networks and platforms that will redefine – and are already shaping – the economies, societies and private lives of all the colonised. Worryingly, the yearning for data is turning a quintessentially open internet, able to empower billions of individuals, into a series of closed and easily controllable cyber-spaces, where a few dominant players have access to, and exert, unprecedented influence on every aspect of our lives. The Scramble for Data is already unleashing a new breed of colonialism, already shaping the economies, societies and private lives of all the colonised. I caught my breath when I heard FBI Director Christopher Wray testify to Congress that there’s been no abuse of Section 702 of the Foreign Intelligence Surveillance Act (FISA), the law under which our intelligence communities electronically spy on possible terrorists and sometimes capture private communications of innocent U.S. citizens. Section 702 and related components expire Dec. 31, and Congress must decide whether to renew them. The latest developments come at the end of a torrid year for the public relations team at the social network. The company has been accused of enabling everything from the spread of fake news to Russian propaganda and hate speech. It has also been criticised for providing a platform for white supremacists, censoring critics of oppressive governments and running offensive adverts. Is using Facebook good or bad for us? The biggest social media company has tried to provide the much-needed but indecisive answer to this question before it gets too late. A blog post by Facebook researchers highlights the good and bad effects of social media platforms in our lives. The Marketplace Analytics team traces its roots to a previous group within Uber that was known as Competitive Intelligence, or COIN. COIN also set up non-attributable servers to store information on competitors, and oversaw Hell, a program Uber used to track the location of Lyft drivers and offer them deals to switch to Uber. By scraping data from Lyft’s app, Uber was able to collect driver ID numbers and therefore track Lyft drivers’ locations. The existence of Hell, and COIN’s role in deploying it, were first reported in April by The Information. Facebook has changed its approach to booking its ad revenue, announcing that it will move to a local selling structure in countries where it has an office to support local advertising sales. In the analog world of our parents, as an ordinary citizen and not under surveillance because of being a suspect of a crime, it was taken for granted that you could walk around a city without authorities tracking you at the footstep level. Our children don’t have this right anymore in their digital world. Starting next year, Facebook will test advertisements at the beginning of some videos. The ads will last six seconds and only show up before videos you seek out in Facebook’s Watch section. Last month, details emerged about a secretive unit within Uber dedicated to stealing trade secrets, surveilling competitors, using self-destructing messages, and dodging government regulators. The accusations came from a former member of Uber’s security team, Ric Jacobs, whose 37-page letter detailing all of Uber’s shady behavior was sent to Uber’s management earlier this year. Prior to today, only snippets of the letter have been read aloud in court. Now, a redacted copy of the letter is public as part of the ongoing litigation between Uber and Waymo, the self-driving unit of Alphabet. And it’s a doozy. Reporting the news can be punished as criminal conspiracy, federal Judge Lynn Leibovitz told jurors at the so-called J20 trial in Washington, DC, where journalists and protesters alike are being prosecuted for property damage that they didn’t commit during the Donald Trump inauguration. Researchers will surely continue to plow the 2016 U.S. presidential election looking for answers to Donald Trump’s victory for decades to come. What we know now, though, is that racial resentment played a prominent role in the equation. Michael Tesler has shown, for instance, that white racial resentment “was more tightly linked to [support for Trump] than support for John McCain and Mitt Romney in 2008 and 2012, respectively — even after controlling for party and ideology.” And Sean McElwee and Jason McDaniel have found that “racial attitudes towards blacks and immigration are the key factors associated with support for Trump.” If white voters are racially resentful and if their resentments remain consequential for their selections at the ballot box, we might wish to understand who among the white population in the U.S. evinces the most racially resentful and racially conservative attitudes and why. Some recent sociological work has examined this question and found at least one primary suspect: white police officers. It shouldn’t be surprising, given the litany of cases–Michael Brown, Eric Garner, Tamir Rice, and on and on–in which killer cops walked free after murdering someone. But anyone who has had the stomach to watch the footage of the last moments of Daniel Shaver’s life–to witness his terror, his frantic pleas, and the unchecked relish that Mesa, Arizona, police took in demanding his humiliating compliance in the moments before officer Philip Brailsford opened fire–should be outraged by both the circumstances of the killing and the fact that Brailsford is a free man today. In its annual prison census, CPJ found 262 journalists behind bars around the world in relation to their work, a new record after a historical high of 259 last year. The worst three jailers are responsible for jailing 134–or 51 percent–of the total. CPJ has been conducting an annual survey of journalists in jail since the early 1990s. The US Federal Communications Commission (FCC) voted Thursday to overturn rules, known as net neutrality, that required internet service providers (ISPs) to treat all data on the internet the same and prohibited them from limiting or blocking users’ access to web sites and services. The ruling heralds a new age in internet communications, where giant internet and technology monopolies like AT&T, Verizon and Comcast regulate what information people have access to. Ajit Pai is an outlier. Most of us hack our way through life wondering if our labors and sacrifices will amount to something that we can stand back and remark upon one day — before we croak. In this respect, Ajit Pai is uncommonly fortunate. The FCC chairman and former Verizon lawyer just pulled off his own plan to destroy the net neutrality principle that ensures an open Internet for all. This will allow Internet service providers to charge consumers higher premiums for access to certain kinds of online content, but that’s not what we need to discuss right now. What we need to absorb and respect is the incredible reality that Ajit Pai — a single man — is largely responsible for crippling the Internet as we know it. Yes, he was appointed to chairman by Donald Trump. Sure, he was joined in voting to kill net neutrality by fellow FCC commissioners Michael O’Rielly and Brendan Carr. But as top banana at the FCC, Pai spent the past several months publicly leading the charge against net neutrality. And when we look back at the aggressive, condescending, undemocratic, and potentially fraudulent manner in which this charge was carried out, the audacity of Ajit Pai defies both convention and ethics. The new regulations, passed by the Republican-controlled commissions’ 3-2 vote, instead require ISPs to disclose any blocking or prioritization of their own content or from their partners. They officially take effect after publication in the Federal Register. Killing net neutrality, which the Republican-controlled FCC voted to do yesterday, is only the most recent gut punch to a free press. As with many things, the United States is seen as a global leader on the internet. Thus, many critics fear that a loosening of its regulatory system may embolden others to crack down on a completely open [I]nternet. To better understand what’s at stake, I spoke to Barbara van Schewick, a net neutrality expert and a professor at Stanford Law School, before the vote. The conversation has been lightly edited and condensed. “As a result of today’s misguided action, our broadband providers will get extraordinary new power from this agency,” said Jessica Rosenworcel, a Democrat on the commission who voted against the repeal. “They will have the power to block websites, throttle services and censor online content. They will have the right to discriminate and favor the internet traffic of those companies with whom they have pay-for-play arrangements and the right to consign all others to a slow and bumpy road,” Rosenworcel said. It’s a remarkably unserious display from the guy at the head of an agency charged with overseeing, regulating, and protecting all levels of communications in the US, particularly given the potential long-term impact of his charge to eliminate net neutrality regulations. Most importantly, Pai also gutted net neutrality without ever trying to make the case for it being a good idea. Pai’s final media appearance was a troll-ish video with alt-right blog The Daily Caller, in which he literally dances with a woman who supported the insane Pizzagate conspiracy that ended with a gunman storming a pizza parlor. His most recent private speech was a smarmy affair delivered to a room full of telecom lobbyists in which he joked about being Verizon’s puppet and taking orders from Sinclair Broadcasting. Now that the vote is over, the commission will take a few weeks to make final adjustments to the rules. They’ll then be filed with the Federal Register and appear there in a few months. At that point, net neutrality will officially be off the books, and these new rules (or really, the absence of any) will take effect. To taste a future without net neutrality, try browsing the web in Beijing. China’s internet, provided through telecom giants aligned with the Communist Party, is a digital dystopia, filtered by the vast censorship apparatus known as China’s Great Firewall. Some sites load with soul-withering slowness, or not at all. Others appear instantly. Content vanishes without warning or explanation. The culprit is rarely knowable. A faulty Wi-Fi router? A neighborhood power failure? Commercial sabotage? A clampdown on political dissent? To most Chinese netizens, the reason matters little. They simply gravitate to the few sites that aren’t slowed or blocked entirely: the Chinese counterparts of Facebook, Google, and Twitter. But these Chinese platforms come with heavy government surveillance and censorship by corporate and party apparatchiks. For the Communist Party and its commercial allies, this is win-win, cementing respective monopolies on political markets and consumer power. It’s disappointing to see such easily refuted arguments being made by current and former FCC chairmen, but I’m always ready to address them. Let’s take a stroll through Powell’s editorial. If you didn’t follow the debate leading up to the implementation of the rules in 2015, you might be more confused about why everyone is freaking out about Thursday’s vote; or, perhaps, what the impact on consumers will be if the overturn is passed, which is likely considering the party split of the commission. Here, we’ve put together a Salon explainer guide. Protests to preserve net neutrality, or rules that ensure equal access to the [I]nternet, migrated online on Tuesday, with numerous online companies posting calls on their sites for action to stop a vote later this week. Google Play has rejected a popular BitTorrent client because it uses the word “BitTorrent” in the full description. Apparently, Google now sees references to an open source transfer protocol as a no-go, stating that BitTorrent is another brand. While BitTorrent Inc. had the term trademarked years ago, the company didn’t ask Google to take this action. BitTorrent Inc., the company behind the BitTorrent and uTorrent torrent clients, has emerged victorious following a long-running trademark dispute in Europe. The battle involved a German company, previously called Bittorrent Marketing GmbH, the EU Intellectual Property [sic] Office, the company itself, and an argument over a useless fax machine. Academic publishers want Sci-Hub wiped from the Internet, but thus far their efforts have failed. While several of the site’s domain names were suspended in recent weeks, it appears as if the controversy is only drawing more traffic. And with plenty of alternatives in hand, it’s turning into a Pirate Bay-esque game of domain name Whack-a-Mole. The House of Commons has triggered a parliamentary review of Canada’s Copyright Act, to be conducted by the Standing Committee on Industry, Science and Technology. The music industry was quick to weigh in, congratulating government ministers and making it known that the so-called Value Gap, which concerns copyright takedown regimes and artist remuneration, will be high on the agenda. The Office’s solution to over-capacity and how to do better. Despite official figures showing an overall increase in filings, some technical fields see the number of patent application decrease. As a solution to the over-capacity, managers are encouraging volunteers to leave their field and work as examiners in other, widely remote areas of technology. If not correctly handled, this could lead to serious problems not only for the individuals concerned but also for the Office. “Incentives” or “rewards” have not even been mentioned. Examiners who would consider a transfer are merely told that their new PD will probably provide the necessary support in terms of training and learning curve. The Office unfortunately has a track record of not providing sufficient support to staff transferred to new jobs. As a consequence it is likely that at least initially neither their quality nor the quantity of the newly transferred examiners will be at the level reached in their previous field, with the obvious consequences of less favourable staff reports and a prospect for promotion that will be close to zero. The Office introduced the AoCs alleging that increased specialization would result in increased quality. More recently the Office launched advertisement campaigns for the recruitment of examiners claiming that only the best candidates would be recruited. Transferring examiners with little or no relevant expertise into a given technical field makes a mockery of such claims. With its PCT share suffering and its quality under attack, the Office can hardly afford taking any further risks to its reputation. b) providing alternatives to transfers. a) The Office should allow examiners transferred to technical fields that are remote from their original field to follow external courses (university or other). Alternatively or additionally, sufficient time for self-study should be allowed, as well as a guarantee that the change will not have a negative impact on the examiner’s staff report for a period of e.g. 3 years. Ideally a positive impact, e.g. through a mark-up for “attitude” could be considered. b) The Office should limit the loss of expertise by encouraging other options for reducing the available capacity through unpaid leave, parental leave or (temporary) transfer to other DGs (with a guarantee to return to the original position), internships (e.g. exchange with the patent profession) and/or voluntarily reduced working time. In the context of the latte, we remind the administration of a long-standing and cost-neutral claim of the staff representation to allow staff working part-time to top-up the missing pension contributions themselves so that no loss of pension ensues. Favourable offers for early retirement (e.g. along the lines of those offered to a former VP4) could also be considered. THE patent question isn’t exactly partisan or even political. Not in the sense that patents are a “left” wing ‘thing’ or a “right” wing ‘thing’ anyway; it’s a vertical thing (top-down, class, economic). 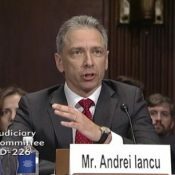 “The very fact that sites of the patent microcosm — including front groups of patent trolls — are satisfied with Iancu is a warning sign.”Well, shouldn’t the United States Patent Office (USPTO) put in charge men and women of science, preferably US-born too? What do they expect him to do if not prop up his former employer/s? Iancu is certainly not neutral. Many conflicts of interest come to mind. “There’s also a profound controversy over universities (which receive public funds) spending time and money pursuing patents that are then give to notorious trolls such as Intellectual Ventures.”In the area of life sciences there are many ethical/moral issues associated with patents; it’s not just about advancement and prosperity but life and death. There’s also a profound controversy over universities (which receive public funds) spending time and money pursuing patents that are then give to notorious trolls such as Intellectual Ventures. IAM has just published this sponsored piece that whitewashes the practice. “Ericsson has already birthed some patent trolls other than Avanci and they ‘operate’ (i.e. sue) in Europe, even in London.”Here’s that buzzword again, “IoT”. We wrote about it a moment ago. It just alludes to any device with a TCP/IP stack on it, i.e. nothing new. And guess what the troll is after. It’s ‘protection’ money. Ericsson has already birthed some patent trolls other than Avanci and they ‘operate’ (i.e. sue) in Europe, even in London. Summary: From Computer-Implemented Inventions (CII) and “Industry 4.0″ the EPO is moving to creative new misnomers for carriers of software patents, SEP (patents-encumbered ‘standards’), so-called ‘FRAND’ etc. THE EPO ended the year with another big scandal — one that most of the media conveniently ignored; instead, the media covered EPO PR, which involved the EPO’s management actually paying the media (not from its own pocket but stakeholders’). Some of it was pushed during the weekend (e.g. [1, 2]) by the EPO’s Twitter account. Working on a Saturday? The patenting of software in Europe remains a problem. We recently wrote about Microsoft and the EPO doing all this under the framing/guise of "IoT" — a trend that can be seen perpetuated in the latest EPO ‘study’ (with other buzzwords/terms like “fourth industrial revolution”). Some sites of lawyers carried EPO agenda as recently as Friday and there was also this press release about a company that “specializes in the creation of Internet of Things (IoT) and Artificial Intelligence” (the title is “Gopher Protocol, Inc. Files Patent Application in the European Patent Office”). What we basically have here are some new tricks or loopholes for software patents in Europe. They just refer to these in different terms, big words other than “CII”. This isn’t about software in particular, but noteworthy here is the insistence of the court (which isn’t motivated by ‘production’ but law/accuracy). Too many times or oftentimes we see public advocacy by law firms for loopholes that enable patenting the patent-ineligible. This is particularly true in the domain of software.